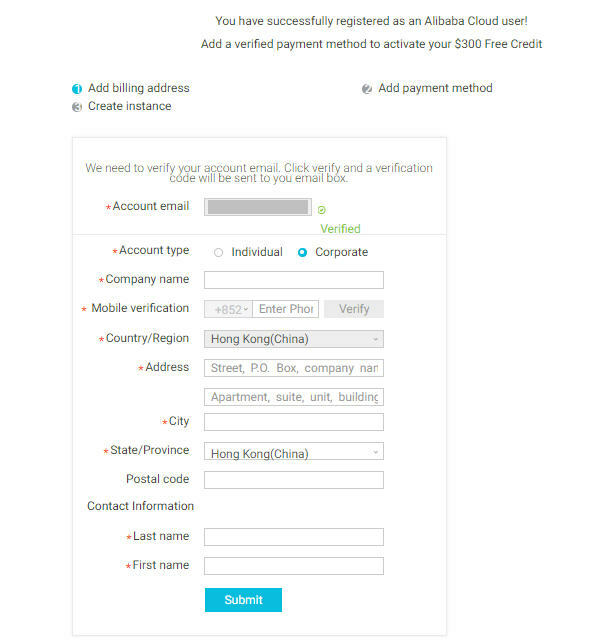 After you have successfully registered an Alibaba Cloud account, you are directed to the Add billing address page. you must add your billing address information and payment method before you purchase Alibaba Cloud products and services. 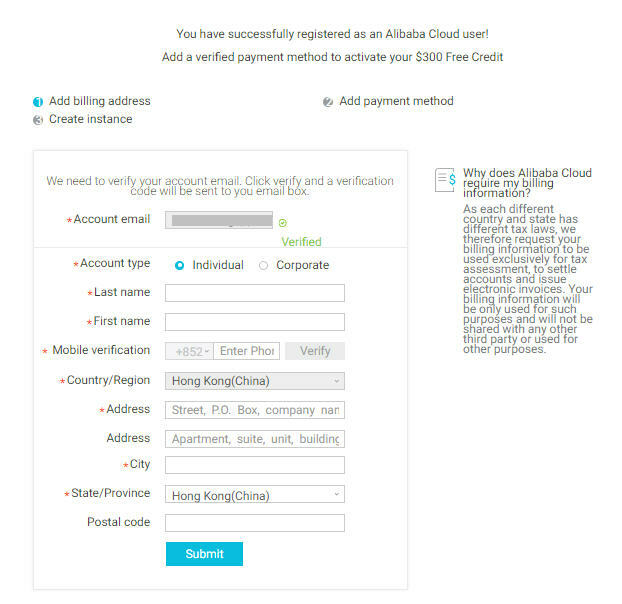 If you have not added your billing address and payment method after you registered your account for some reasons, you can log on to the Alibaba Cloud console and click Add Payment Method to add your billing information, before you purchase any Alibaba Cloud products and services. If the account is for individual use, select Individual and enter your name and address information. If the account is for corporation use, select Corporate and enter the corporation name, address information, and contact information. Verify your mobile phone number or your email address. If you have verified your email address when registering the account, you must verify your mobile phone number now. If you have verified your mobile phone number when registering the account, you must verify your email address now.